"One can make their religious tours to the Holy city of Pushkar much more fascinating with a stay at the Pushkar Bagh. The hotel, replete with authentic Rajasthan's custom, tradition and culture, is an ideal resort for nature lovers to stay in. Those who chose this hotel as their accommodation surely get to enjoy the best views of Pushkar Camel Fair. 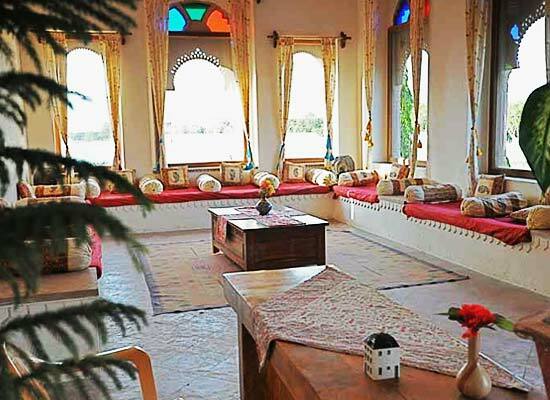 There are total 40 rooms at Pushkar Bagh. 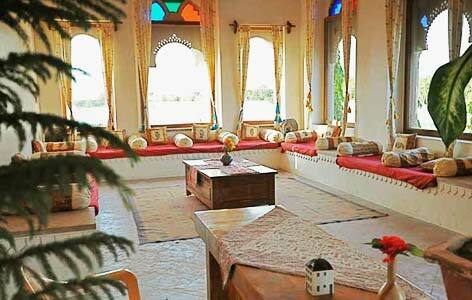 All the rooms feature period furniture and traditional Rajasthani décor. In each room, there is a European styled bathroom fitted with every necessary bathroom amenity. 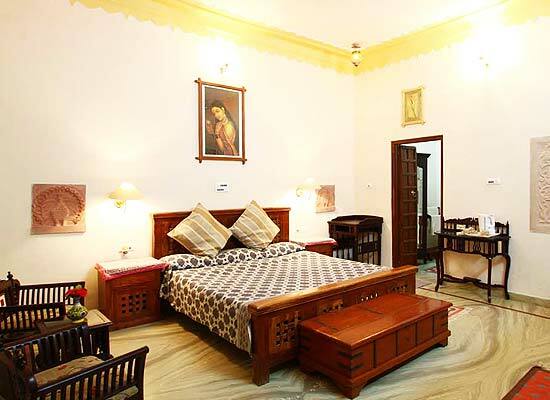 The rooms offer glorious views so that one can get close with the bounties of nature. Other required modern day necessities are also installed in every room. 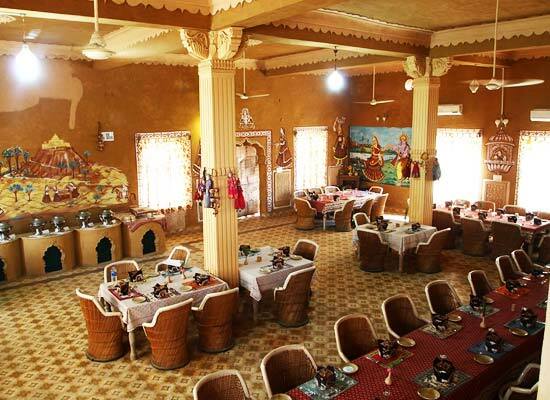 Surya Mahal: The multi-cuisine restaurant in the hotel specializes in lip-smacking Indian, European and Continental delicacies. Baradari: This 24-hour coffee shop is ideal place to go and enjoy freshly brewed coffees along with finger food and snack. 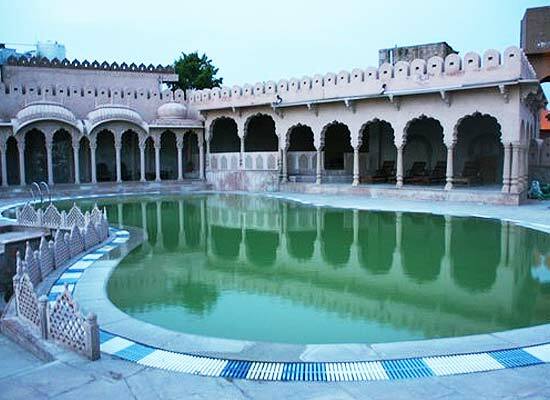 Rang Mahal: This is where guests can go to enjoy and relax with wide range of alcoholic beverages. The religious town of Pushkar in Rajasthan is a city which the travelers to Rajasthan cannot keep out of their mind. The Pushkar Camel Fair which takes place every year in the month of November is one of the grandest and most popular village fairs in the whole country. Thousands of tourists and travelers come from different parts of the world to enjoy the spectacle.